Woodlands is an exciting place to be a student. Our lively student community is made up of people from all sorts of backgrounds, and it’s a welcoming and fun group to share the university journey with. As a student community our vision is “to be intentional apprentices of Jesus, working out how to actually follow him in every part of our lives”. This means being vulnerable with one another, stepping out in faith and taking risks with God. If that sounds like something you’re up for (or at least intrigued by) come along and find out more. As people arrive we host a student welcome BBQ where we give away thousands of free lunches. That’s Monday 24th - Thursday 27th September. Follow your nose to track down a free burger! To get a 'taste' of what’s coming, watch the video above :) . VOLUNTEERS NEEDED! We are looking for volunteers to help out during the week - can you help? Find out more. We have our massive annual Student Weekend Away which is a chance to bond together, catch our breath after the start-of-year of craziness and get some quality time with God and each other. Tickets on sale now. You'll find students at all of the regular church services each Sunday. That said, most students go to the 7pm, as it's a good place to meet other students. 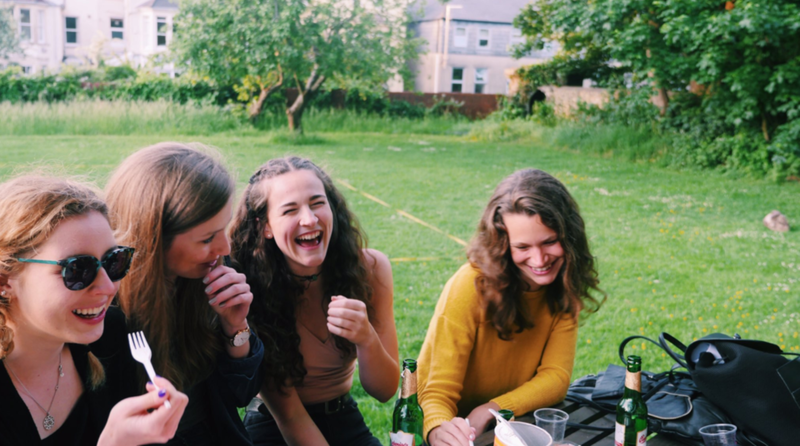 After the 7pm service we gather downstairs in the crypt for some informal time to catch up and hang out together - a great way to connect in with student life at Woodlands. On Tuesday nights we all get together for food, worship and practical teaching every month. This is the main hub of our community, and a great way of getting stuck into church. Kick off is at 7.30pm. When we're not meeting as a wider community, we meet as small groups in homes, halls, coffee shops etc. It's in these smaller communities that you really get to know people, share life together and begin to work out what it means to follow Jesus at university. If you're a student and have any questions, email students@woodlandschurch.net, check out the latest student blog posts or contact Chris Harlow (Student Pastor). Find out more on the woodiesstudents instagram & woodiesstudents twitter feeds.